I'm new here and I've been trying to research a guitar I've recently bought. From various posts I've read and even the wikki pedia the early washburns were made by S Yari & son and yet, some posts here seem to suggest that these guitars were built by yamaki which confuses me somewhat . I own a S YAIRI and aYamaki branded guitar. There are similarities with the construction of the bracing and manufacturing idiosyncrasies of the Yari and the washburn D30s BUT the yamaki has nothing in common with the washburn. I realise that this is not an accurate indication of manufacture but does anyone know for certain who made the D30s (version 1) interviews with a mr smith and the wiki artical all seem to suggest that the early acoustics from 1978 to mid 80's were YARI sourced guitars. In an interview with Rudy Schacher he says that in the beginning Yari made virtually the whole product line of acoustics.I also read an artical with Jim Smith the washburn collector and he also states guitars from the late 70's to mid 80's were YARI made. Could anyone out there help me to get to the bottom of this japanese puzzle? If you've talked with Jim Smith, Sr. you've spoken with one of the most knowledgeable parties regarding Washburn history...perhaps Ship of Fools will chime in, as he is also very knowledgeable about Washburn's early production and history. I was referring to an article I came across in my attempts to find an answer. I can find no posts concerning S.Yairi Washburns but clearly they exist ! Have you done a forum search? I just did and got a LOT of hits on Yairi. My search was for "Washburn Yairi"
There will be 100 times the orange "Washburn" hits than there will by orange "Yairi" hits, but there are quite a few. Try it, you'll like it!! I wonder how many people think they have a Yamaki guitar(great guitars in there own right I have one) when in fact they have a HAND MADE Yairi guitar! FWIW, there is no such thing as a "machine-made" guitar. And even a small luthiery may use assembly-line techniques, with a dozen or more people working on a given guitar as it proceeds. Actually, "Yairi" was THREE top luthiers. Washburn obtained instruments from Sadao Yairi, assisted by son Hiroshi. Meanwhile, Alvarez imported guitars built by Kazuo Yairi, Sadao's nephew. The "Yamaki thing" has become blown far out of proportion. To date, the best credible research says the original Beckmen dreadnoughts (1974-1976) were mostly Washburn-branded standard-run Yamaki. It's unclear that Schlacher maintained that particular relationship, but the better Wing models (1978-1984) were likely Yamaki (in part considering similarities to their Daion brand). Hi Tony and thanks for the feedback,! I don't want to be too misunderstood the D30s version one is a really good guitar with a soft "v" neck and a rich deep tone with excelent workmanship all round, I am lucky enough to own several japanese guitars a Yamaki YW30 a Tahara made Nashville N30D a Yairi made morris W39M and a couple of Suzuki's, and I just get the feeling that the washburn D30S (version 1) is a Yairi made model I am not in any way trying to criticize the Yamaki guitars they are really good in there own right but I dont think that my D30S(v1) is one of them somehow . "Tom Beckmen and his wife Judy Fink Beckmen in 1972 left careers as music salesman and teacher (respectively) to launch a wholesale music business in Los Angeles, Beckmen Musical Instruments. It was Beckmen Music that resurrected the Washburn name, and beginning in 1974 applied it to a series of quality imported acoustic guitars, made in Japan by Terada, as well as a selection of mandolins and banjos." some of the photo's Ive seen clearly have all the hallmarks of Terada guitars especially the models with truss rod cover at the head of the neck which have the distinctive TERADA design. Unless of course terada was owned by yamaki at some time but I ve not seen anything that suggests this. Thanks for the complement on my Japanese selection,the rarest is probably the nashville N30D its a guild replica ,and of amazing quality. 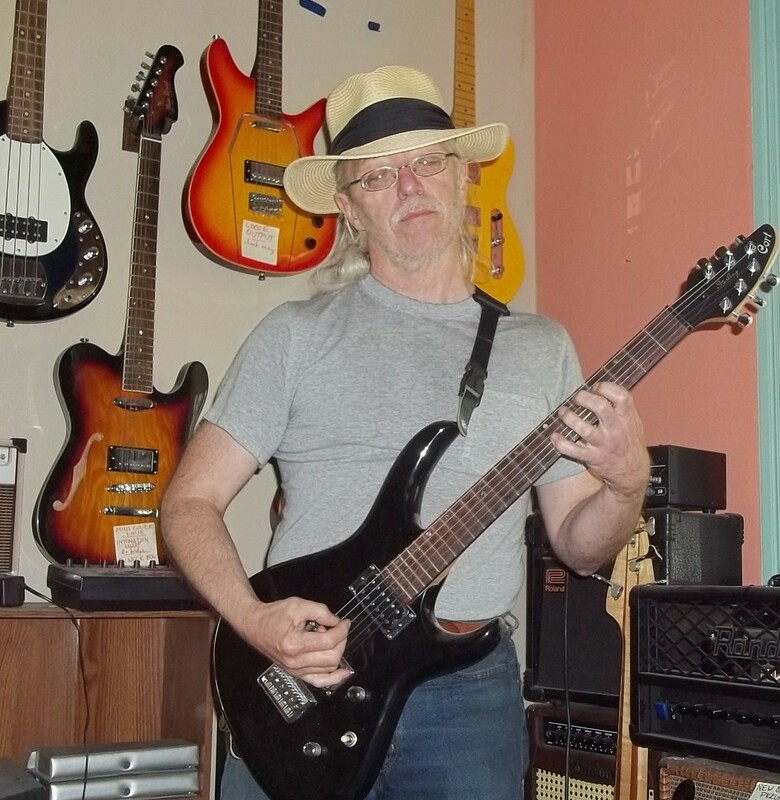 I have been very lucky with my Japanese acoustics, I have over 30 guitars and a very understanding wife. who accepts my incurable GAS (guitar acquisition syndrome) with remarkable patience and understanding I suppose i was just born lucky! Yamaki built the Japanese Washburn acoustics but not the Beckmen Imports. I've owned both and still have an early Prairie Song custom. The Yamaki's were superior guitars, the Beckmen's just OK, not sure what factory they came out of but not Yairi. The Yairi's, like the Daion's and Yamaki's were of better quality. Matsumoku built the wing series electrics. I realise that i am corresponding with senior members ,But if Yamaki made all of the early guitars D30S,Prairie Song custom, then which models was Jim smith referring to in the article i saw on the net some of which is quoted on this site. QUOTE"Where did their imports come from? It started in Japan in 1974 with the Yairis, [Sadao and Hiroshi] who were a father and son team in that started making guitars for Washburn in â€™74. I think they did most of the product line through the mid-1980s until their factory burned down. And then after that Washburn was looking for the cheapest vendor with the best quality. After that it was probably Korea, starting around 2000." IF as the owner of the company and one of the most knowledgeable washburn collectors both say YAIRI made the early guitars which models were they!?? Of the two manufacturers Yari Probably had the edge on yamaki, but they would have been very close vis a vis quality,I wonder if the D30s and the prairie song etc could have been made by both factories?? washburn would not be the first guitar company to have the same models made in two different factories. my research into Japanese guitars suggests that Yamaki and Daion merged into one company with Daion making almost exclusively electrics whilst yamaki made the acoustics. Trying to find out which Japanese manufacturer made which guitars is like trying to find your way in the worlds craziest maze logic wont help it's mostly informed guesswork. but the beckman guitars do look like TERADA models . This is from a post by Tony Raven a senior member who also seems to have collated much of the info on the wikkipedia site. "re serial numbers for bigginners"
" Jim Smith Sr. is (was?) a legendary Washburn collector, with "over 500" guitars stashed in two warehouses, so I take him at his word. Among other things, he says the better acoustics 1974 to about 1982 were built by Sadao & Hiroshi Yairi. Smith rates most import Washburn acoustics 1974-1996 as "of very good to excellent quality". Smith also says that "probably 60%" of Washburn models had a single production run of 200 units, & were never reordered if sales were slow. So, there's some quality Washies out there that are MUCH rarer than most "limited edition"models." He also says in the same post . "mostly, we have no idea where most models were built. Sometimes we get lucky & the s/n has a factory-code prefix or an old press release says where it was built or someone's got one with the "made in" paper tag still attached. However you seem to be saying that Yamaki had the contract to export Washburn branded guitars and that could have been made by Yamaki or by any number of Japanese manufacturers,including Yari and that no one at washburn could know who built what ?. IF the Yari connection is a myth what is it's source??. OR was this misquoted article the source for the whole misconception concerning Washburn manufacturers from 1974 /1980's. Can anyone out there give us a definitive answer??? There are no other Japanese or Korean built Washburns that have come up to the quality of the Yamaki builds. I've owned most all of them, and most of the Beckmen's. The Beckmen's were not high quality and were probably not built by Yairi and I haven't seen anything Japanese built other than the Yamaki's that were built to such high standards. I doubt seriously Yairi built any Washburns but nobody really knows for sure exactly who built what back then. Here is a Washburn Prairie Song Custom in Yamaki garb. http://www.ebay.com/itm/YAMAKI-Y60D-Japan-Vintage-Acoustic-Guitar-Used-Rare-/142533026448?hash=item212fa16290:g:LC0AAOSwHERZzc6k Same exact guitar. Cleared over wood pick guard and all. And here is a guitar, except for the pick guard, identical to the Washburn W600, three piece back version built by Suzuki. http://www.ebay.com/itm/ThreeS-W-300-Natural-1980s-Rare-VINTAGE-Acoustic-Guitar-Good-Condition-JAPAN/263106430140?rt=nc&_trkparms=aid%3D222007%26algo%3DSIM.MBE%26ao%3D2%26asc%3D41451%26meid%3D11ae8dea817d4f86b9500b7dadb30ba3%26pid%3D100005%26rk%3D2%26rkt%3D6%26sd%3D263219255798&_trksid=p2047675.c100005.m1851 I owned one of the two piece back versions. Just average. the Yairi connection to Washburn was likely a quote from the inaccurate article that was published in Premier Guitar. Yah, though I don't have my notes handy, that is likely where I got the notion. Corrections will be made.